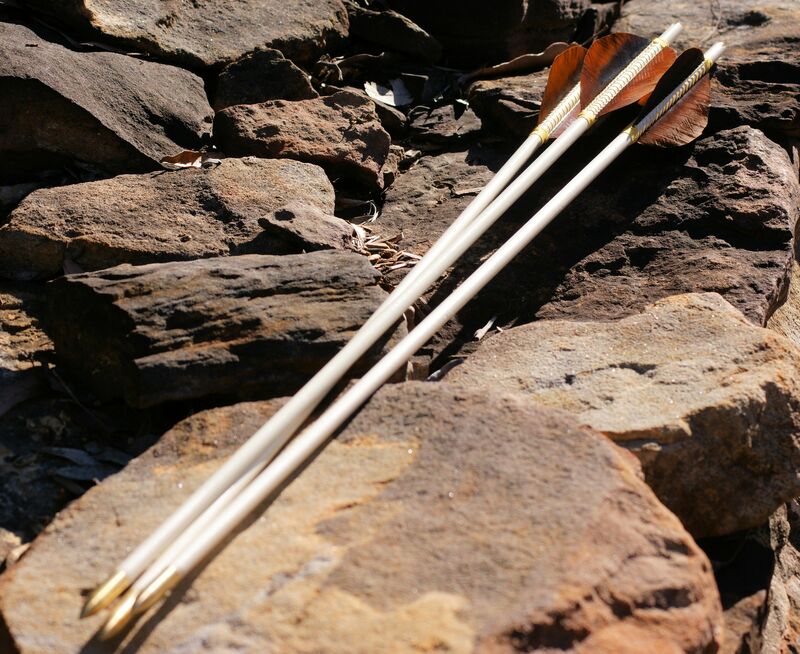 These arrows are based on a textual reference, the Golden Youth passage from The Lady of the Fountain, the first book of the Mabinogion, dating to between 1100 and 1190. Being completely out of the bones of a whale, I’ve made do with painted mountain ash shafts. I checked the parts box and I’d also run out of golden heads, these are brass and more or less a type 5 shape. Peacock feathers were spilt and cut to size. The profile is swine-backed, a medieval semi-circle shape associated with hunting arrows. Binding is yellow polyester because I couldn’t get a yellow silk thread that wouldn’t snap when tieing.